It will glow brightly and melt your marshmallows on your birthday cake’s candles. But did you know that many fires are started by kids or even a very small fire could get out of control and burn down a whole house? 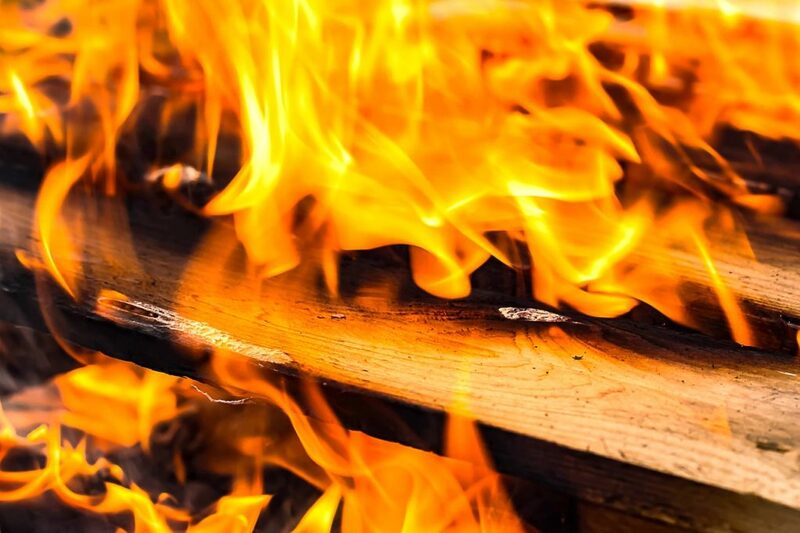 A fire can burn down a building in minutes because fire moves very fast. One burning house can set other houses on fire, so fire isn’t just dangerous inside. Outdoors, burning grass or piles of leaves can get out of control. If they’re not put out all the way, campfires also can lead to bigger fires. Because they’re curious, little kids often play with fire, and they don’t understand how much damage fire can do. Get an adult right away, if you see a younger kid playing with candles, matches or any type of fire. Older kids also might be tempted to touch light something on fire or a lit candle, just to see what will happen. Don’t do it! Kids who play with fire can end up hurting other people, burning themselves and destroying important things, like woods and homes. Fire can be fun and cozy to watch, but only in a controlled situation like a fireplace on a winter night, a campfire or a professional fireworks display. Fire is a basic element, like earth, water and air. Fire is energy, a tool and a fascinating one. In fact, it’s a chemical reaction happening right in front of your eyes. It needs oxygen and fuel to burn, but once it starts burning, it doesn’t stop until it runs out of both or one of them. That’s what makes it both dangerous and valuable. If you start by burning a stick in the woods and then you drop that stick, that flame will keep burning as long as there’s oxygen (there’s plenty of that in the air!) and fuel (more sticks, dray grass, leaves, etc.). Never use a fireplace, candle or stove without a grownup they’re to help you. And be careful around hot spots like these because, your clothes can catch on fire, if you get too close. Radiators, heaters and lamps get hot when they’re turned on, so don’t touch them. Also never put blankets or clothes on top of one, even as part of a game. Don’t play with outlets, light switches or electrical cords. Check with an adult to be sure you don’t have too many things plugged into the same power strip or extension cord. For many thousands of years, fire has warmed people, cooked food and unfortunately, hurt people and destroyed stuff. The next time you gaze into a roaring fireplace, remember that many generations of people have enjoyed that very same sight. Just enjoy it safely and you won’t get burned!